SANDY WALSH: A GLAMOROUS LIFE? 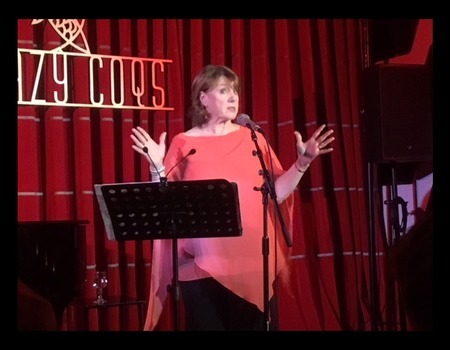 After a sell-out performance in May 2018, Sandy Walsh returns to Crazy Coqs with A Glamorous LIfe? 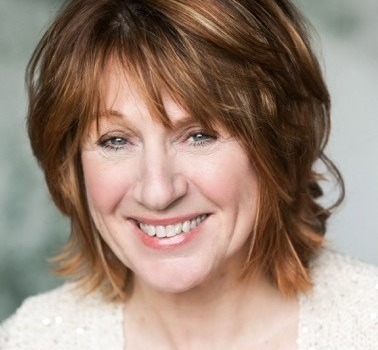 - an evening of anecdotes from her work as an actor and a presenter, interspersed with songs and poems which have been pertinent in her career, accompanied by pianst, Tom Wakeley. Few soap stars can claim to have such a wide and varied career. From Emmerdale to winning a Sony award for presenting on the BBC World Service, Walsh has starred in Blood Brothers, Shakespeare and provided the voice of 'Za Za' the cat in Hectors House for Virgin Ads, and been awarded a fringe first for her one woman shows. As a young woman, Walsh was torn between becoming an actress or a journalist. She finally plumped for the former and thought that the journalism dream would remain unfulfilled. A couple of decades later, however, she found herself presenting high profile programmes on the BBC World Service and busy working in TV, radio and theatre. For a time, acting and journalism ran parallel to each other but she soon found a way of making the two careers converge in her fourth one woman show, Correspondent, which Jon Snow (Channel 4) said every news editor should see. This humorous, poignant and enlightening evening leads the audience on a tour of Walsh's life and work, and as the question mark suggests, that life has not always been so glamorous.